Available from April 19 through April 23 (while supplies last, of course), this special version of the usual crème frap is spiked with mango syrup, blended with pink powder and layered with ribbons of sour blue powder. A swirl of whipped cream dusted with more pink and blue powder caps off the Lisa Frank–esque confection. And Us Weekly tried it! Find out what the whimsical drink taste like in the video above! As if that weren’t enough, the fruity beverage turns from purple to magenta as you stir it with your straw. (The taste also morphs from sweet to tart.) Samples of the drink have already been popping up across social media sites, and so far, the company’s fans are here for it. 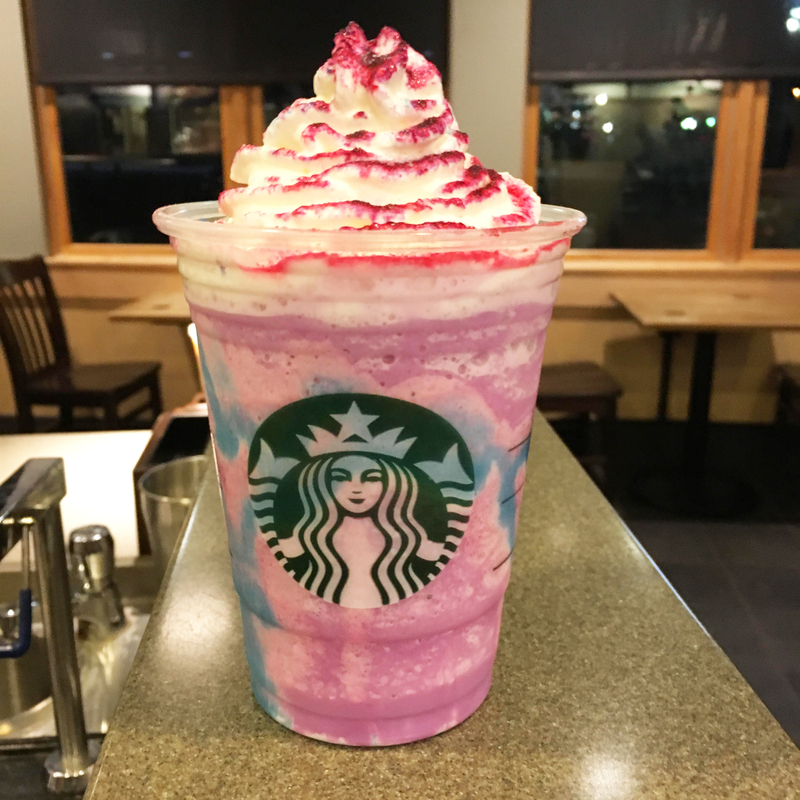 Tell Us: Will you be hightailing it to your local Starbucks to try the unicorn frappuccino?